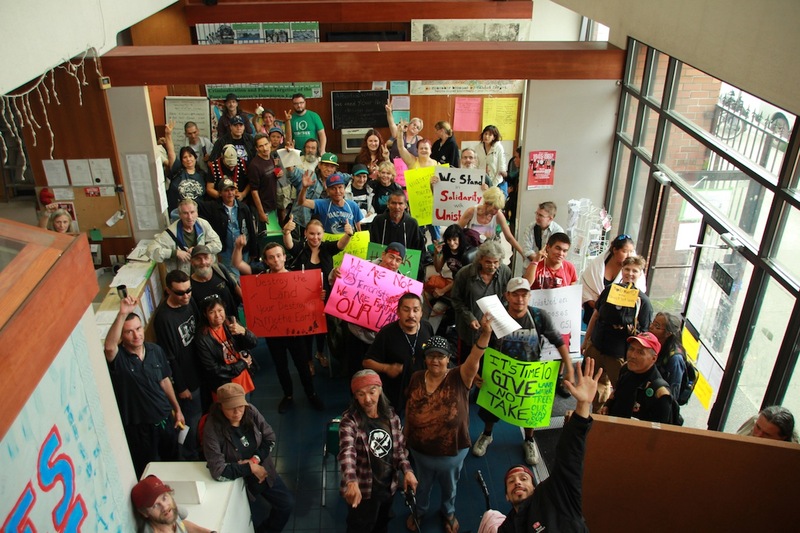 The rally and picket drew attention to the intimate links between resource extraction and real estate displacement in British Columbia. As Seb Bonet writes in the Downtown East: “To many people who are Indigenous or living with low incomes, pipelines and cranes represent the latest in a long series of displacements.” Below is a speech by Tracey Morrison, making the living connection between Indigenous resistance in rural and urban British Columbia. 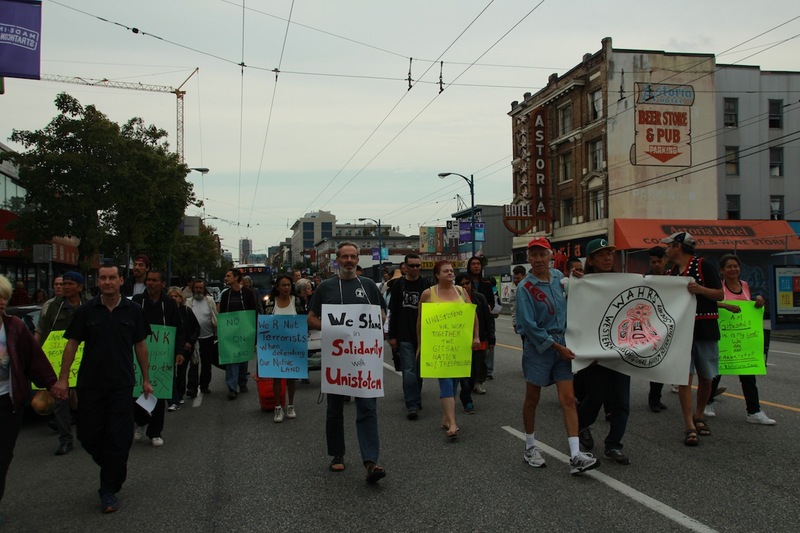 Tracey is the president of WAHRS and is a long-time activist in the DTES community. 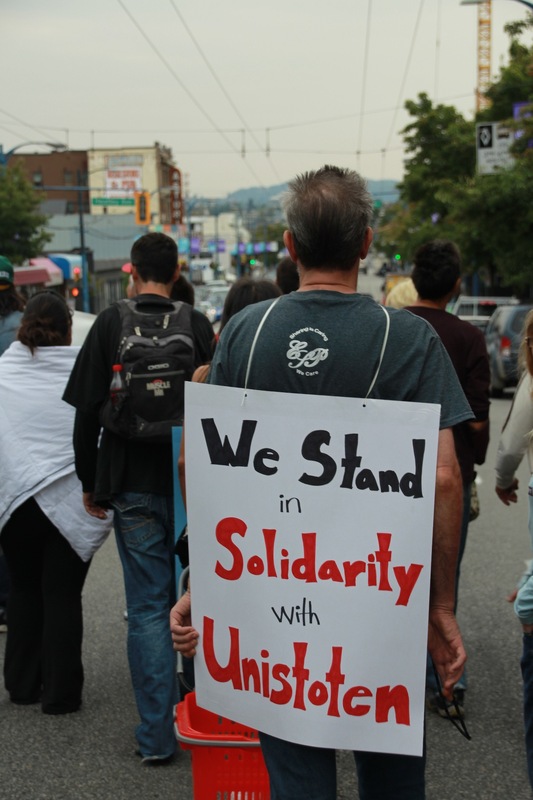 We acknowledge that this event, and all our work, is taking place on unceded Coast Salish territory. 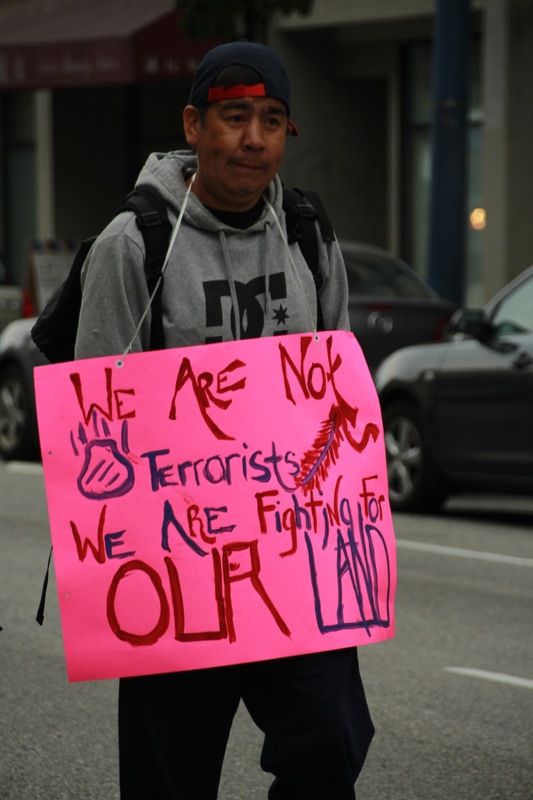 Thank you for joining WAHRS today as we march in Solidarity with the Unist’ot’en Camp who are fighting against the pipelines. Their struggle is to defend their territory from destructive pipelines developments. Our way to support is to March and bring awareness of the violations of Native land just to build pipelines which are destructive to Mother Earth who we are here to protect. We need to do more. We say no more. No more to Pacific Trail, Enbridge Pipeline, Kinder Morgan, Coastal GasLink, and so many other companies who are making money from stolen Native Land. 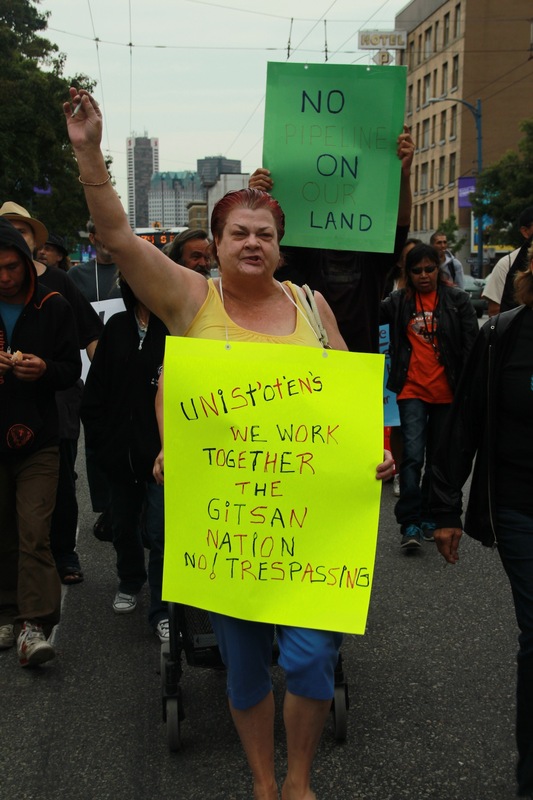 Thank you for your support and let’s unite and help the Unist’ot’en Camp. Posted in Downtown Eastside, Indigenous Sovereignty. Bookmark the permalink. I would just like to commend you for drawing attention to the efforts being made around this most important issue. It is one that progressive forces (and even not so very progressive) can coalesce around to everyone’s benefit.